Sunday (8 June 08) was “Duan Wu Jie”. 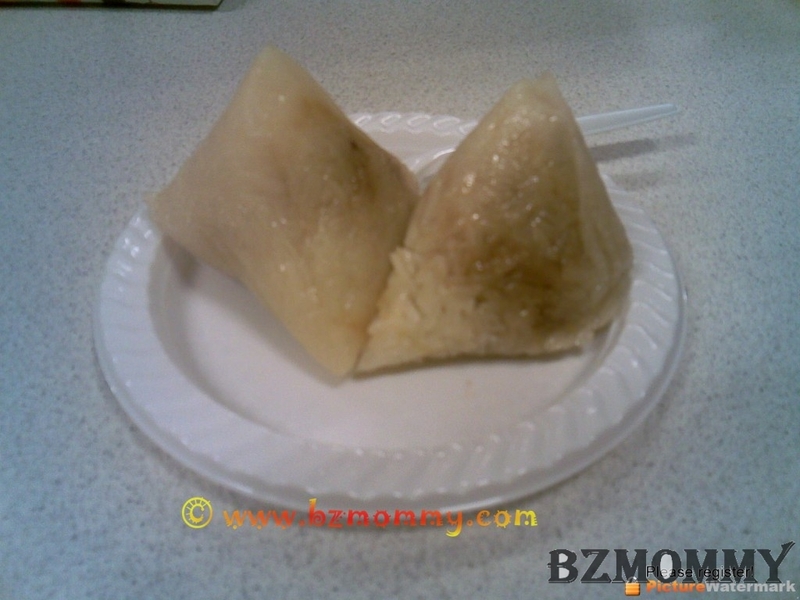 Though I am someone who doesn’t really know how to cook (too blessed with a mother who cooks for me, so have not master the art of cooking YET), but I always wanted to learn how to wrap the rice dumpling (“Ba Zhang” in Hokkien). Its a skill which not many youngsters nowadays know. Duan Wu Jie (is 端午节，not 粽子节！！) came about because of a hero. You can read the story here. 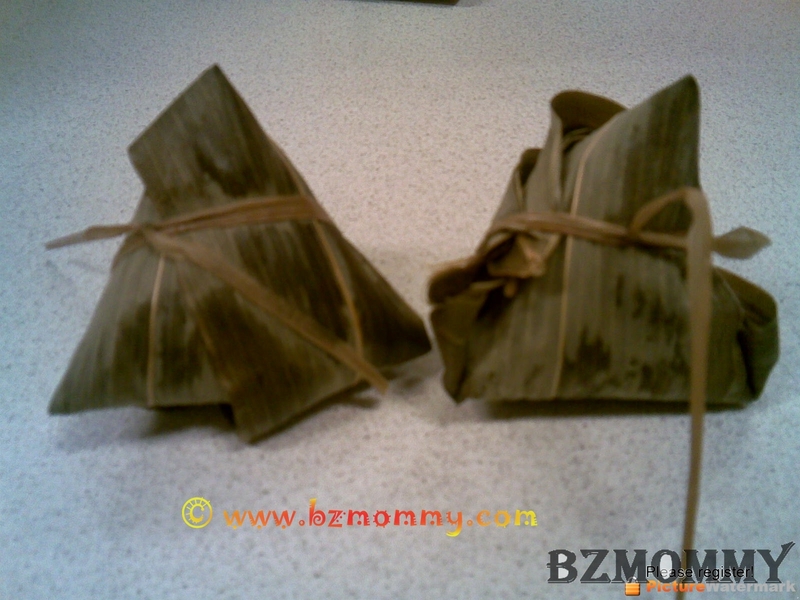 I had a chance to learn from Dear’s family on how to wrap Ba Zhang on Saturday! It was fun learning and seeing my little improvement from an almost shapeless Ba Zhang to something which finally looks like Ba Zhang! Besides Dear’s mother, Dear’s sister is also very skillful can! Her Ba Zhangs are all in very nice shapes! 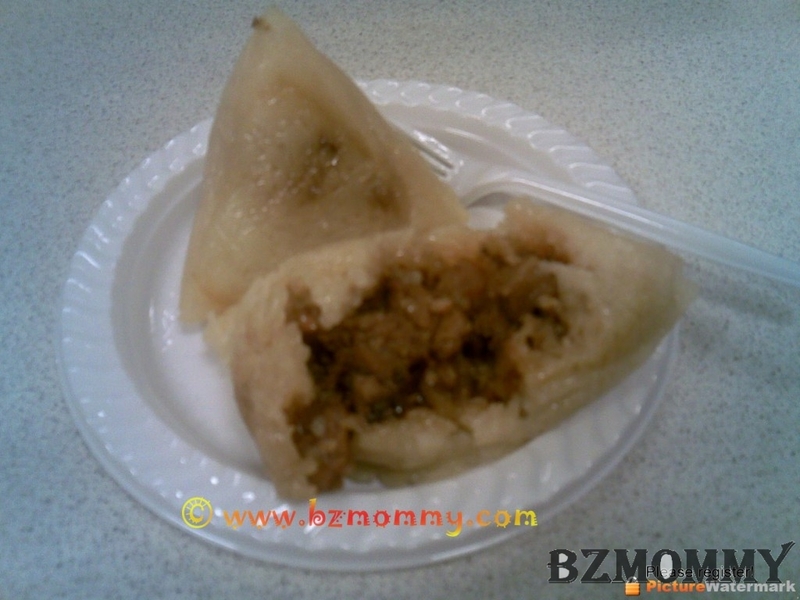 These are the 2 Ba Zhangs for my breakfast. The right one is wrapped by me..with obvious tell-tale signs. The bottom tip is not pointed enough, means, I did not shape the Ba Zhang enough when wrapping it. The 2nd picture shows that the leaves are quite loose…which also means that my grip was not very good when wrapping it. Heeee.. 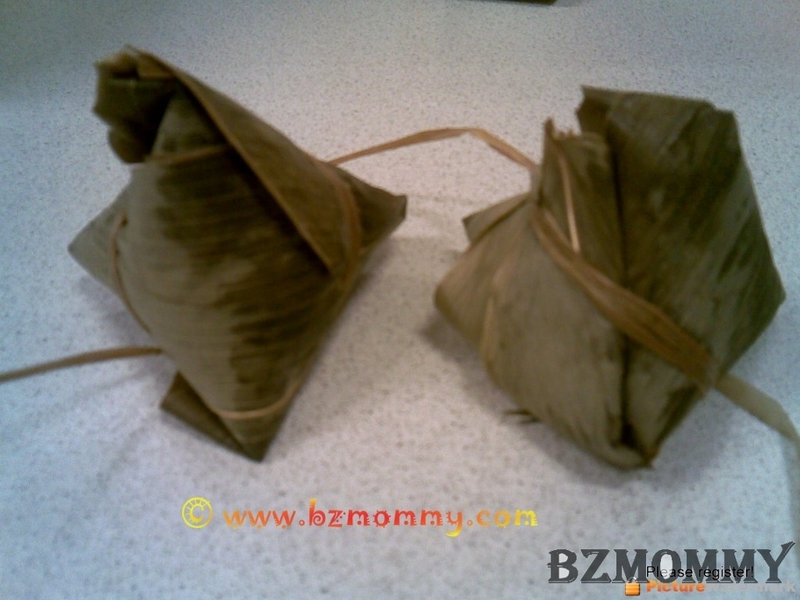 I found this step-by-step guide on how to wrap the dumpling, a nice guide! This entry was posted in Happenings and tagged Food, Happenings.